Alpharetta GA real estate agents and services. Alpharetta real estate agents offer the best real estate services in Alpharetta for home buyers and sellers. Alpharetta GA real estate agents, properties, and services. Alpharetta GA Real Estate Agents. Alpharetta GA real estate agents and real estate services for Alpharetta home buyers, sellers, investors, and relocations. As experienced full time Alpharetta GA real estate agents we can offer Alpharetta home sellers our services as their Alpharetta listing agents, and Alpharetta buyers agents our services as Accredited Buyer Representatives – ABR. We’ve also have many years of real estate experience in the North Atlanta metro area and were licensed in 1992 and are Licensed Broker Associates that specialize in offering the highest quality Alpharetta real estate services possible. Alpharetta Listing Agents - Selling a Home in Alpharetta – We offer FREE CMAs to Alpharetta homeowners contemplating selling a home in Alpharetta GA. Whatever your needs are, we can help by offering your time test proven strategies that will help sell your home or real estate properties. 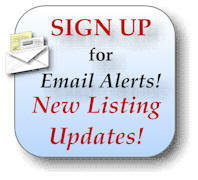 Suggest listing prices, marketing plans and strategies, and offer free home staging advice when listed. Alpharetta Relocation Services - Relocating to or from Alpharetta or Atlanta Metro area – we offer relocation assistance to Alpharetta home buyers and home sellers relocating individually or for corporate relocations. Alpharetta Foreclosures - Foreclosures we handle Alpharetta Foreclosures, HUD home sales, distress sales, short sales, as listings agents, and home builder agents. Internet Marketing – We can offer the best exposure of your real estate in the Atlanta Metro area and have the statistics to back it up! Alpharetta Luxury Homes Real Estate Agents – Alpharetta luxury homes listing agents, home buyer agents, and relocation services for luxury homes buyers and sellers moving to or from the Alpharetta area. Alpharetta Commercial Real Estate – Lots, land, retail, investments.